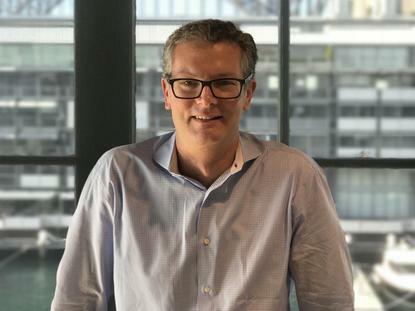 Former Yahoo7 chief technology officer Paul Russell has been appointed CTO of media monitoring and data company Isentia. Russell left Yahoo7 in July in a management overhaul following Verizon subsidiary Oath’s acquisition of Seven West Media’s 50 per cent stake in the business. Oath’s acquisition of Yahoo7 – one of the most viewed online channels in Australia, featuring in Nielsen’s top ten ranking alongside the likes of Facebook, Google and Instagram – also saw its CEO, CFO and director of product depart. Russell joined Yahoo7 in 2015, and went about moving its sites from a custom PHP framework on virtual machines to Node.js running on containers. “This is an exciting time to join Isentia. I’m looking forward to working with [CEO] Ed Harrison and the rest of the team to accelerate the digital transformation of our services and have the opportunity to progress how we do business in the future,” Russell, who has previously held technology leadership roles at Salmat, Network Ten and Fairfax Digital said. The CTO appointment is one of three executive leadership hires announced by Isentia. Kelly Young has commenced work as chief human resources officer and Peter McClelland in the CFO role. “The demand for media intelligence continues to grow in size and complexity. We want to move faster and meet the evolving needs of our clients through innovation, and to do that, we need a strong leadership team that can bring all the pieces together,” Harrison said. “Isentia has a longstanding reputation as a technology leader and, with a new leadership team in place, we have the opportunity to cement our position as the leading media intelligence company in Asia-Pacific,” he added.